A mountain bike ride used to be your favorite way to relax after an exhausting work week. A ribbon of Saturday single track erased the week’s face palm moments. On the weekend, you were the trail boss, and cleaned rock gardens and bunny hopped anything in your path. Then the magic fell out. Now, meeting friends at the trailhead to go mountain biking is more frustrating than fun. Everyone around you is getting faster and advancing their skills (and posting their epic GoPro proof to YouTube). Meanwhile, you’re off the pace pushing your bike up climbs…what gives? The answer can be found in what you’re riding and where you’re riding it. Let me explain because recently I was the one pushing my bike through sections I should have cleaned. As a retired professional rider with a 25-year love affair with this sport, I had to figure out how to put the magic back. First, look at what you’re riding. Massive improvements have been made in bicycle suspension and frame geometry in the past 20 years. The red Pro-Flex we all coveted in 1990s now rides like a $150-bike from a big-box store. If you’re a female rider, all the big brands—Specialized, Liv (a Giant spinoff), Trek, Jamis, Cannondale—and some of the niche brands—Juliana, Yeti, Scott, and Kona—offer women’s specific geometry. Riding a bike with angles considerate of female physiology (i.e., narrower shoulders) makes a big difference on the trail. The next step is considering where you ride most. Bicycle industry marketing gurus want us to see images of riders leaned into perfectly banked corners and pieces of dirt flying from tire-tread patterns tailored for specific conditions. They hook us with the Zen moment we wish for on every ride. It urges us to rush out and buy that bike… never mind it might not be the best choice for our local trails. I adored the two Santa Cruz Blur LTs I’ve owned, then I moved to Florida. The Blur LT was designed for going up climbs and bombing rough descents. There’s a lot of flowing, tight single track in Florida, not so many climbs and downhills. For a while the Blur LT worked, but my riding skills weren’t progressing. I had the wrong tool for the job. It’s hard to admit your bike has lost its luster, but finding the right mountain bike isn’t difficult. 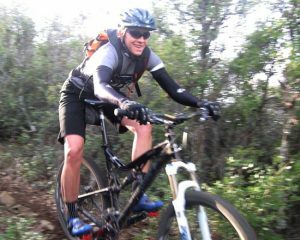 Many bicycle companies partner with the retailers to host demo ride events at local trails. I found three demo events at trails I regularly rode. For the bike models I wanted to try that weren’t scheduled for a demo, a local shop was able to rent the bike for an extended test ride. Within weeks I was used to the swept back angles of my new Santa Cruz 5010c, and was adding whips when launching over drops and lips I previously would ride with caution. I didn’t realize how much my old bike was holding me back. The right bike for the conditions I regularly ride brought the fun back. Now I just need a GoPro to post my improved skills and new tricks to YouTube like everyone else. About the author: Cecilia ‘Ceal’ Potts was the 1997 Junior Women’s Cross Country Mountain Bike World Champion, and raced professionally in 1998-99. 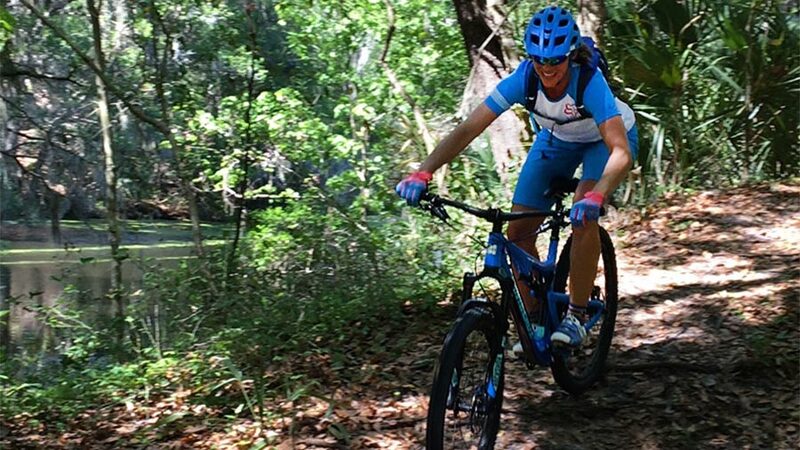 She now enjoys trails without a bib number, and lives and works in Florida. Follow her on Twitter at @cealpotts and on Facebook at cecilia.potts.